Disobey the narrator and see the world through your own eyes. Icey, a side-scrolling action game for PlayStation 4 developed by Shanghai studio Fantablade and first released in November 2016 in China, will launch for PlayStation 4 in the west on August 8, the developer announced. 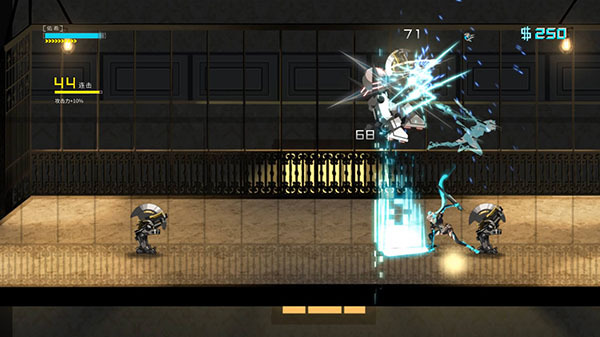 Icey is a side-scrolling action game. On the surface, players take on the role of a young girl with no memory, with only the voice of an omnipotent narrator to guide them through Ultimopolis on their quest to find Judas, a dangerous and powerful enemy. Look deeper, however, and players are actually acting as themselves. Should they resist the narrator’s instructions and instead help Icey discover her own self-awareness? It’s up to you, really. Do you prefer to see through Icey’s eyes and act as she would? Or do you prefer to remain “yourself” and see the world through your own eyes? Only you can decide what the real story is. There are plenty of combo attacks to tie together during battle in Icey. Once enemies are sufficiently weakened, you’ll be able to dispatch them quickly in a flurry of slashes. Absorb energy released from kill shots to then release a massive attack which damages all enemies within view. Combine all of these together to build up devastating combos. It’s possible to play Icey as a simple action game, but if you want to discover the real story behind Icey you need to realize that the narrator can be directly disobeyed. For example, the narrator will tell you to activate a bridge. Of course, you don’t have to listen. Resist these instructions enough times, and the narrator will prevent your progress and even teach you how to play the game. Resist further, and the narrator will create a “temporary” zone for you. And, of course, try to force you to finally follow the arrow. Feel free to once again disobey these commands. Only by annoying the narrator throughout Icey will players be able to uncover some semblance of the truth about the game world.